Which of these are true? A) Most people produce 1 cup to a 1⁄2 gallon of gas a day in their digestive tract. B) A movie marathon on the couch can cause stomach bloating. C) Removing part of the colon used to be treatment for severe constipation. D) Carrot soup decreased infant death due to diarrhea in the early 1900’s. E) Talking about and/or experiencing a grumpy gut is never fun. If you guessed that they are all true, you would be correct. The more important question is, how can you prevent and/or manage the very common symptoms of a grumpy gut: gas, bloating, constipation, and diarrhea? Here are 5 simple tips to start today. You’ve most likely heard this before, and there is good reason for that. .
From the saliva in your mouth that starts the digestive process to the end result of wastes being removed from your body, water is crucial. With all the options of coffee, sweet tea, soda, wine, beer, energy drinks, sports drinks etc., it is easy for water to get edged out of the picture. However, none of these are good substitutes; they should only be viewed as “additional” to the water you already consume. Bonus tip: Once or twice a week add 1 - 2 tablespoons of apple cider vinegar and one tablespoon of honey to your glass of water. The enzyme-rich apple cider vinegar will reduce gas and help with constipation. The honey makes it taste good. 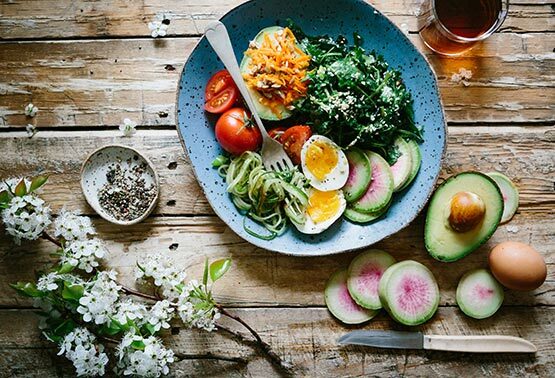 In our society inundated with fast food and on-the-go meals, it is simply easier to reach for the prepared and packaged foods that quite honestly can be so tempting. But all that convenience comes at a price, and too often your gut gets the invoice. “Au naturel” grub, such as raw fruits and vegetables, provide needed roughage to move the digestive process through at a healthy pace.2 Our bodies were designed to digest these, and we get the added bonus of the vitamins, nutrients, and enzymes that are included. Bonus Tip: Let’s keep it real. There will be times that processed foods are inevitable. Aim for an 80/20 rule. Try to have 80% of your choices come from foods in their natural state (think two or three ingredients.) Give yourself a break on the remaining 20%. Getting it right 8 out of 10 times is a success. 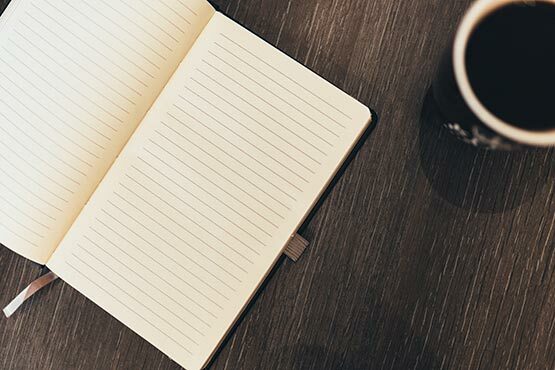 Identify the “why” behind your stomach distress by keeping a food diary. Different guts have different triggers. Being intentional about learning yours can be key to preventing undesirable symptoms before they start. Often it is not one particular food that causes problems. Instead it might be a subtle pattern or combination of things that causes your gut to react. Isn’t it worth your time and effort to know this? Bonus Tip: Engage a friend to join in this exercise. For two weeks keep a food journal. Record things like what you eat, when you eat, exercise, etc. Be sure to note how you feel physically each day. Go out for coffee at the end of the two weeks and share what you have learned. Inspire each other to make changes as needed. Keep your body moving and you keep your digestive tract moving too. Bonus Tip: Gas and bloating can build up throughout the day making it difficult to sleep at night. Plan to do a 10 to 20-minute walk between dinner and bedtime 5 days a week. 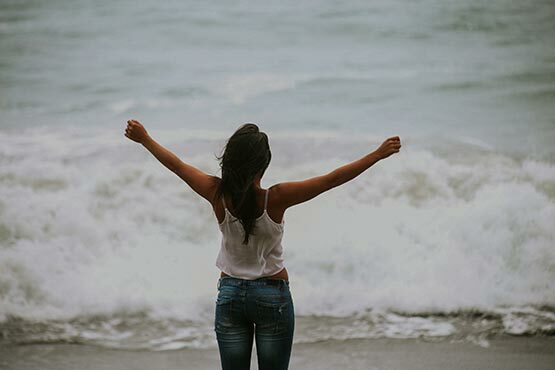 The movement should work most of the gas out and you can consider the extra exercise, fresh air, and new perspective that you will get as free perks. The gut has a tough job. Good, bad, or ugly, our food and drink takes its toll. Compound that with the effects of medicine, stress, hormones, and genetics and it’s not surprising that so many suffer regularly from stomach distress. Taking a quality probiotic gives your gut a fighting chance against all the irritants that come on a daily basis.4 Adding healthy bacteria to the gut is crucial to bringing about balance to your digestive system. Bonus Tip: Not all probiotics are created equal. 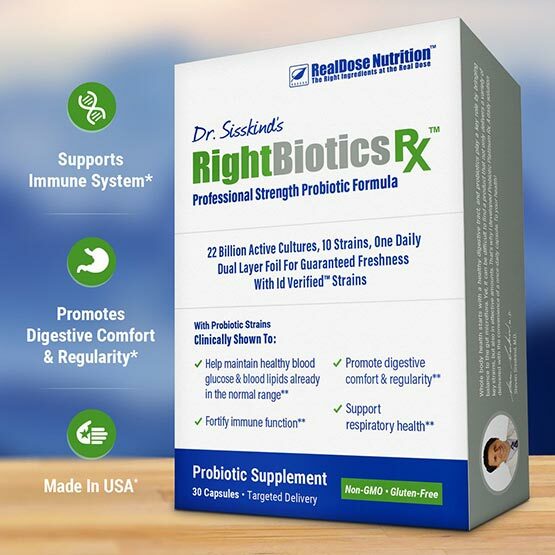 You want to take one that has the clinical testing to back its efficiency.5 RightBiotics Rx is a quality probiotic from the trusted source at RealDose Nutrition. It comes in a once a day capsule that makes taking your probiotic simple and convenient. Let’s face it. None of the symptoms of an imbalanced gut are fun to deal with. More importantly, the health of your gut has a direct impact on your immune and circulatory systems. Your overall health deserves a proactive approach. The simple tips of drinking more water, choosing foods in their natural state, being aware of your triggers, and making efforts to move throughout the day, will help keep your digestive tract working more efficiently. Taking a professional strength probiotic, like RightBiotics Rx gives your gut the competitive edge it needs so you can spend less time treating a grumpy gut and more time enjoying your day. And here’s your last Bonus Tip: The expert team at RealDose Nutrition values four qualities when creating their evidence based supplements: Real Science, Accuracy, Integrity, and Trust. Enlist the help of one of their “change agents” and take the steps today to improve your gut as well as your overall health.